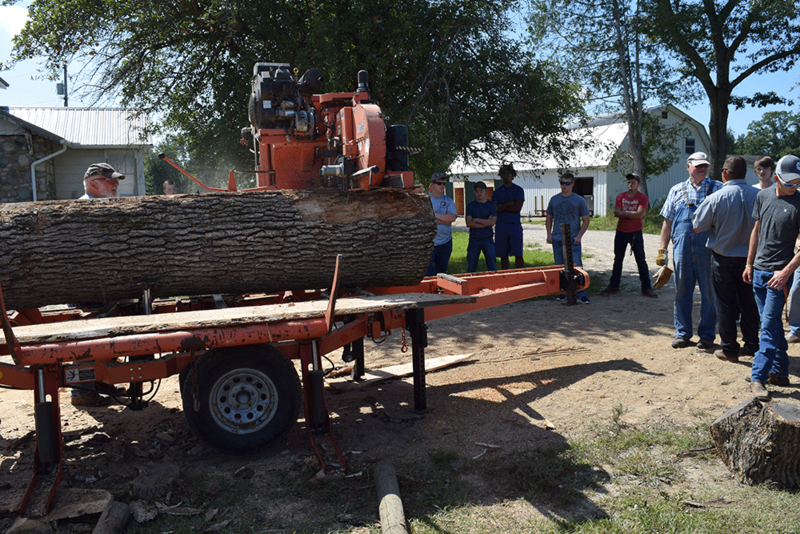 A CUT ABOVE: Construction Students Get a Lesson in Sawmilling — CTE: It's Working! How's this for an icebreaker? CTE Construction Trades students jumped right into the action on the second day at the Magnus Center. Friend of CTE 'Grandpa' Joe Magnus brought in Richard Schmidt and his mobile sawmill to make some oak planks out of trees taken down by Magnus recently. 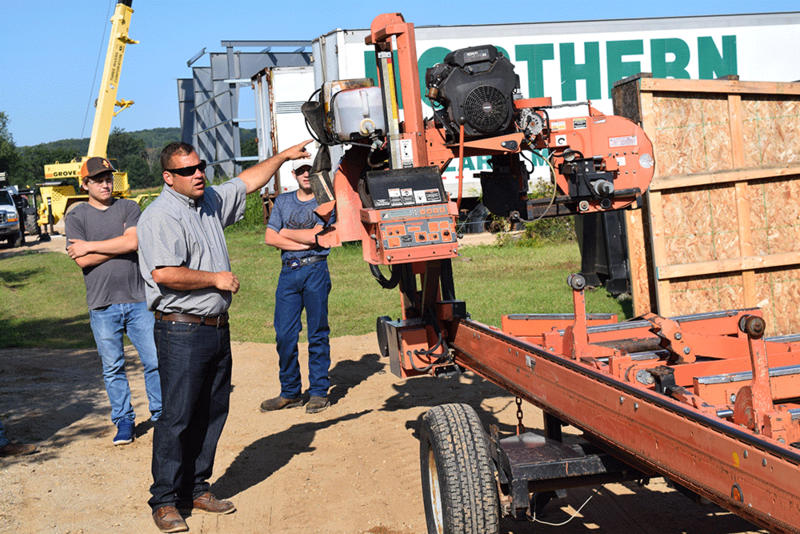 Students got an up-close and hands-on look at the portable mill and then lent Magnus a hand with relocating the planks to his barn for curing. Early next year, when students are working in their new building full-time, they'll get a chance to use the planks to build shelving and other useful furniture.